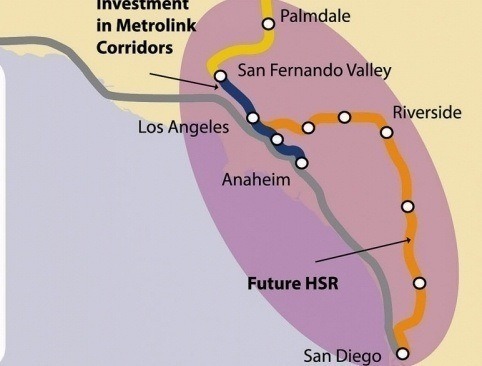 Statewide High Speed train system which will run from Sacramento to Bakersfield (Segment I), Bakersfield to Los Angeles (Segment II) and from Los Angeles to San Diego (Segment III). 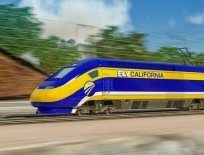 Inspired by successful high-speed train systems worldwide, California's electrically-powered high-speed trains will help the state meet ever-growing demands on its transportation infrastructure. 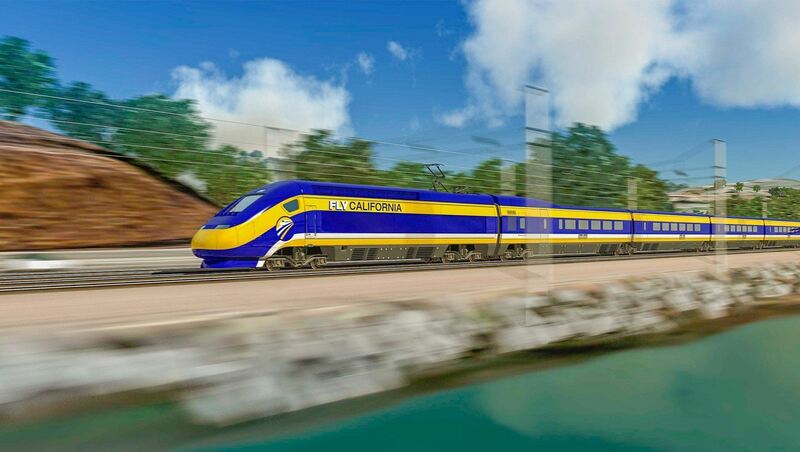 Initially running from San Francisco to Los Angeles/Anaheim via the Central Valley, and later to Sacramento and San Diego, high-speed trains will travel between LA and San Francisco in under 2 hours and 40 minutes, at speeds of up to 220 mph, and will interconnect with other transportation alternatives, providing an environmentally friendly option to traveling by plane or car. Overall system would consist of construction of over 800 miles of track and up to 24 stations. 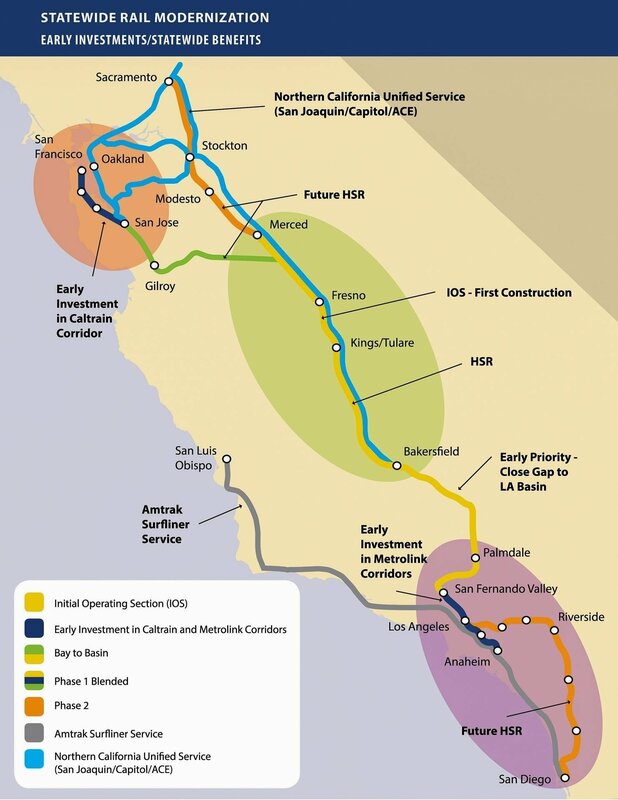 Segment I from Sacramento to Bakersfield will contain 7 Major Stations, most operating on 4-Tracks (2 Express & 2 Stopping Tracks). High-Speed Rail Technology lends itself to "Steel Wheel on Steel Rail" or "Magnetic Levitation."